This is a little side dish that I learned years ago. 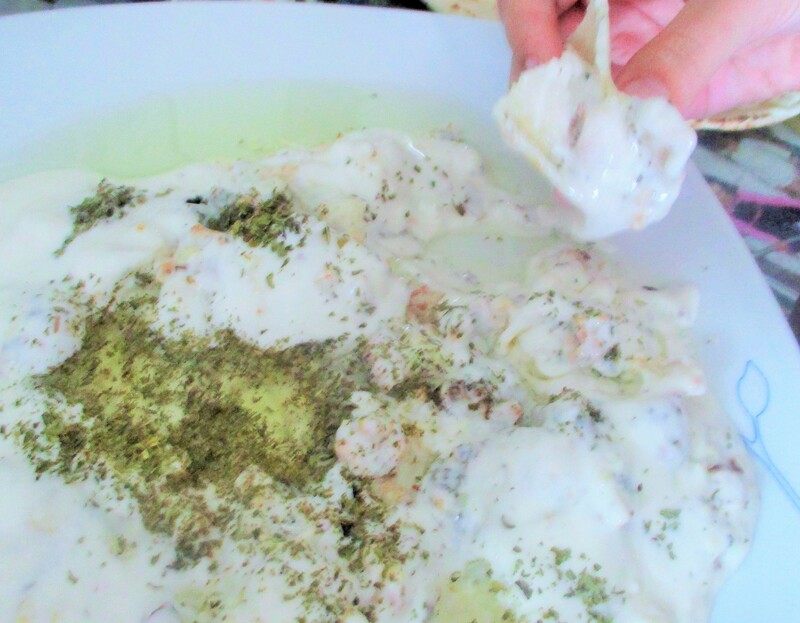 It is traditionally eaten with Arabic bread. We used to eat it here and there for breakfast, but over the past 6 years I had forgotten about it. One day a few months back I whipped it up and the kids loved it. Put all sauce ingredients in a blender and mix well. Refrigerate until needed. This recipe calls for deep frying the cauliflower but I don’t do that any more. Sprinkle a little olive oil on a baking pan or spray it with cooking spray. Wash the cauliflower and cut into bite size pieces. Place cauliflower on tray, lightly salt. 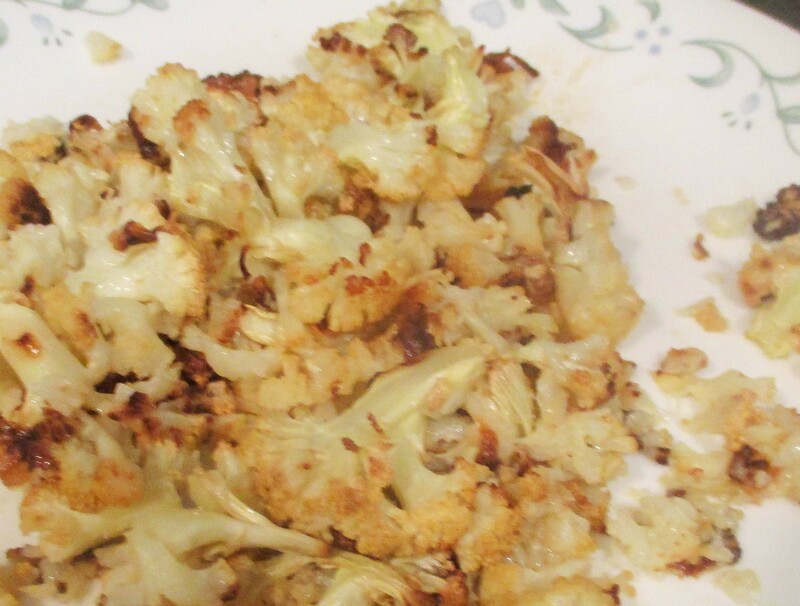 Place tray with cauliflower in oven and let it cook until tender and a little brown. I cooked it for 40 minutes. Remove from oven. Let it cool a little so you can work with it. Place cooked cauliflower in a bowl and smash it with a fork. It can be a little chunky. Pour sauce over cauliflower and lightly mix with a spoon, pour onto a plate. Drizzle olive oil on top and sprinkle with mint. This is usually eaten with Arabic bread.